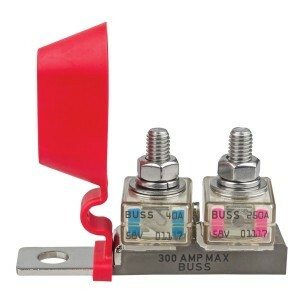 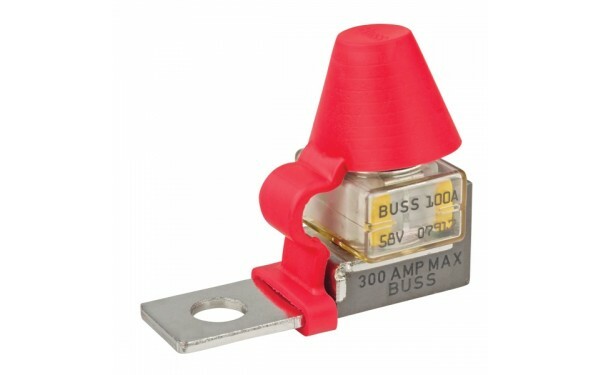 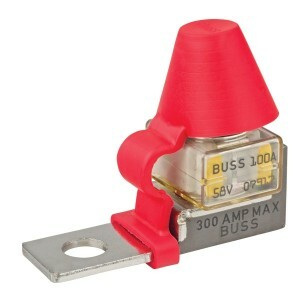 For use with Bussmann Battery Fuses. 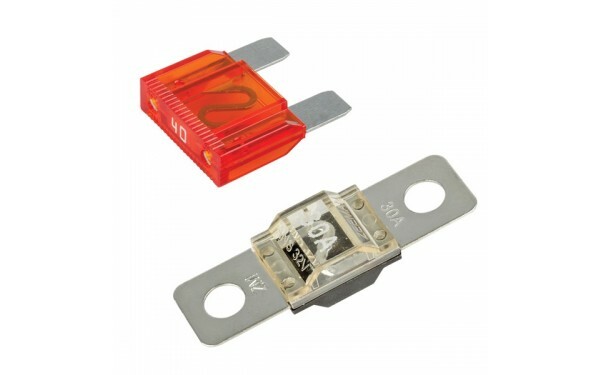 Designed for the most demanding environments providing high current protection in the tightest space constraints. 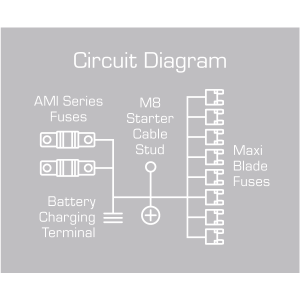 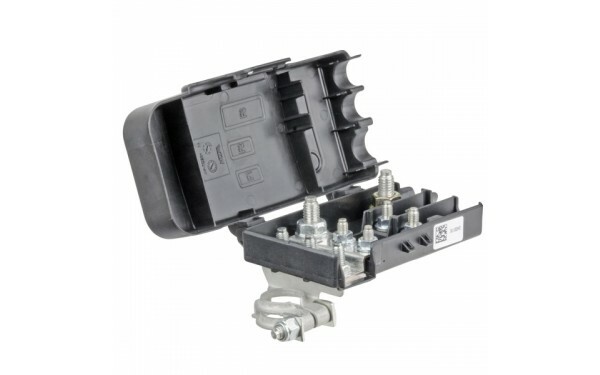 Suitable for main and auxiliary circuit protection such as alternator outputs, starter motor inputs and accessory circuits. 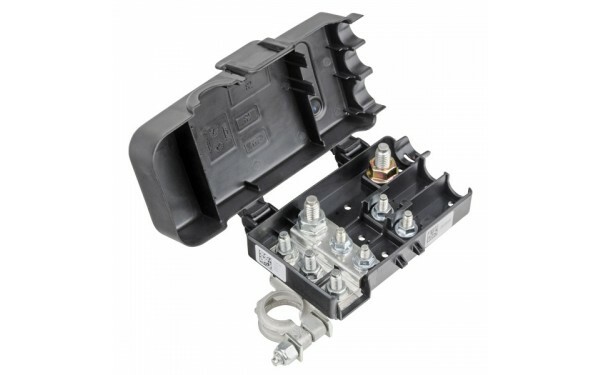 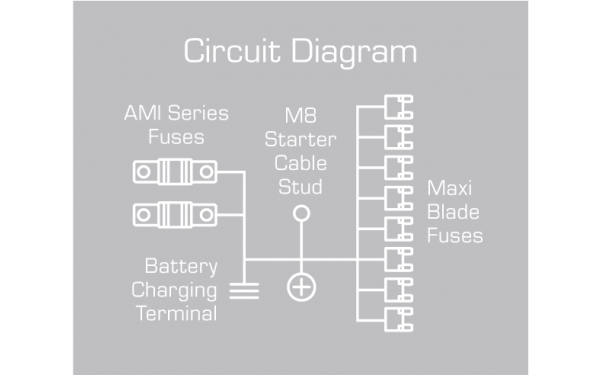 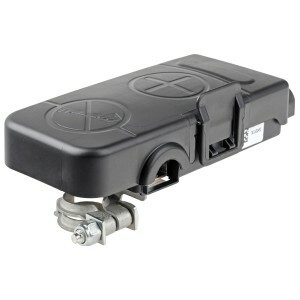 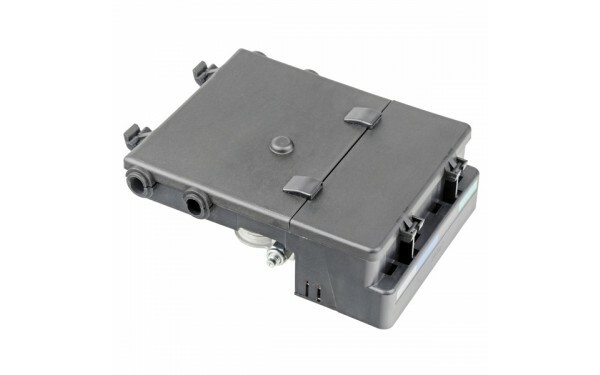 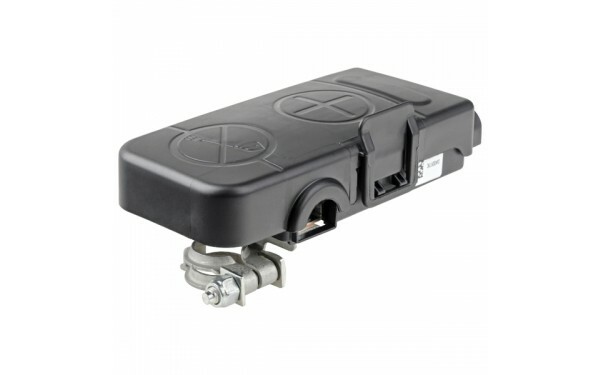 Full range circuit protection for automotive and marine applications. 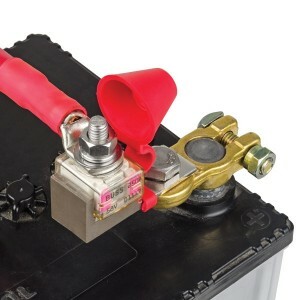 Mounts directly to vehicle battery. 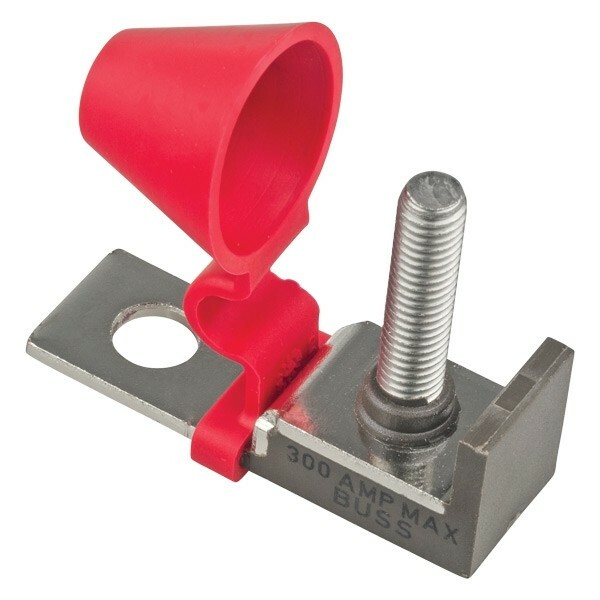 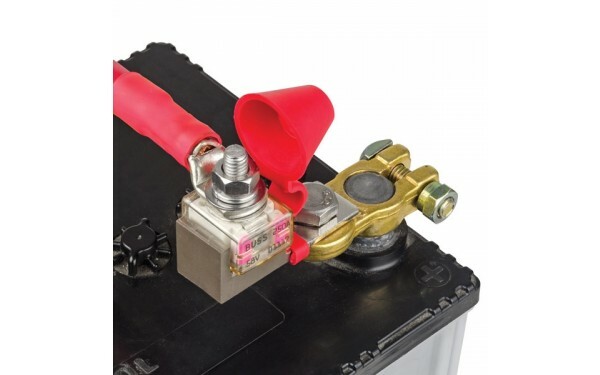 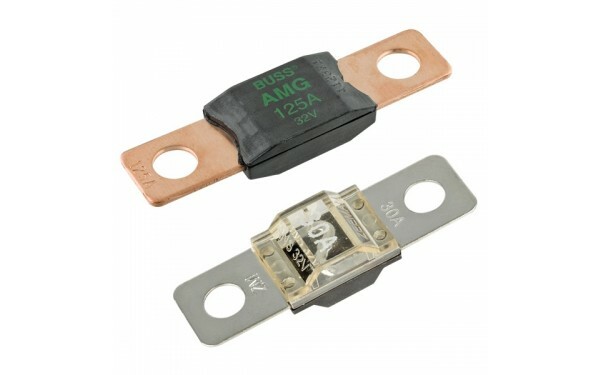 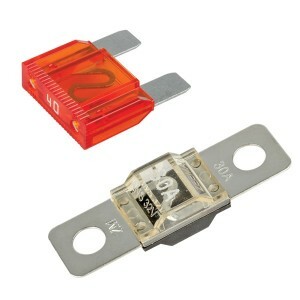 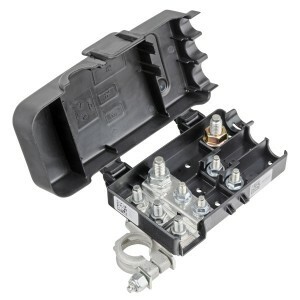 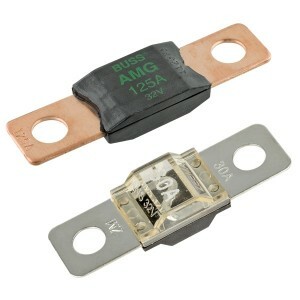 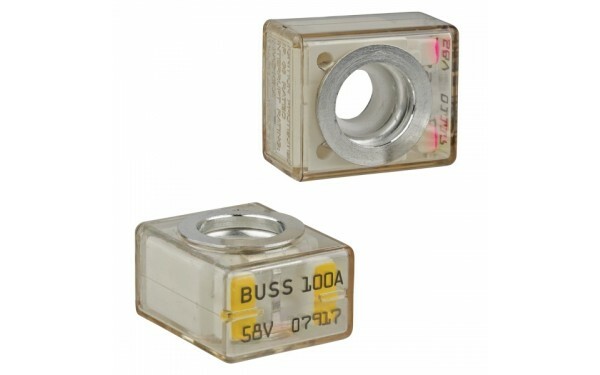 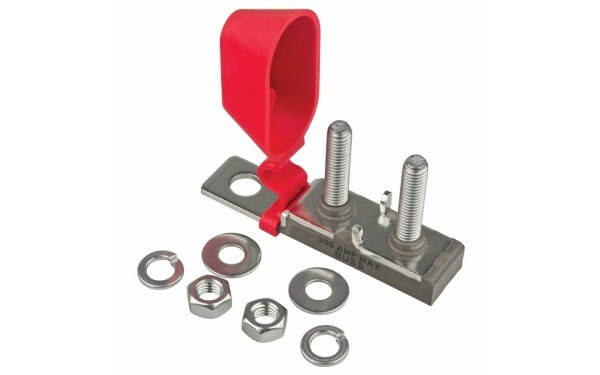 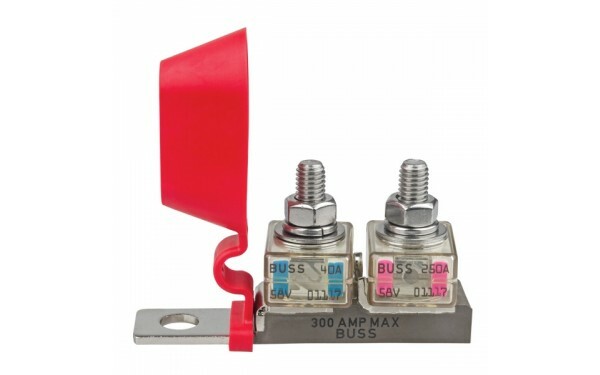 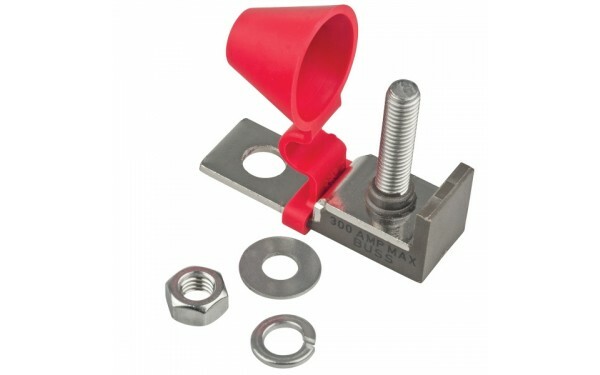 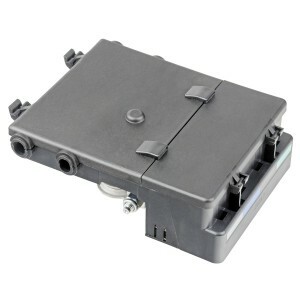 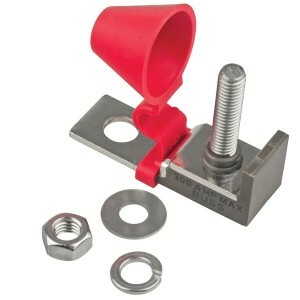 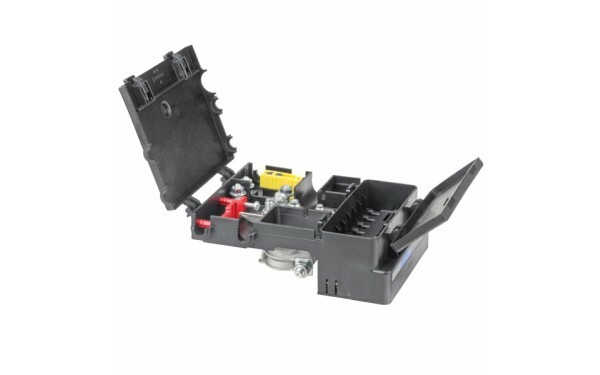 Hinged covers for easy access to fuses. 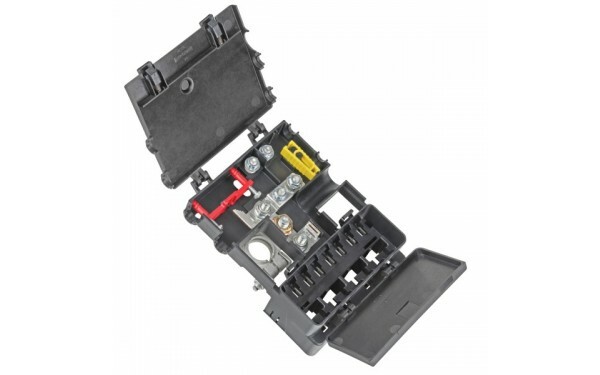 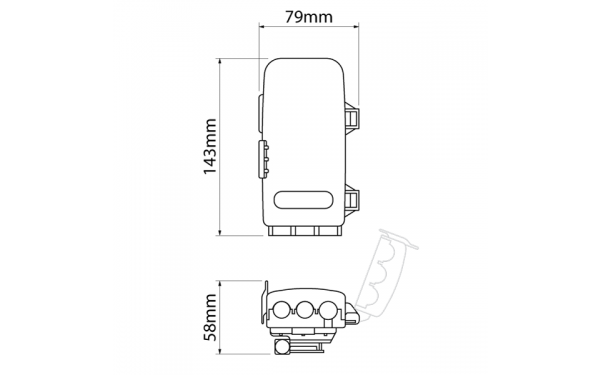 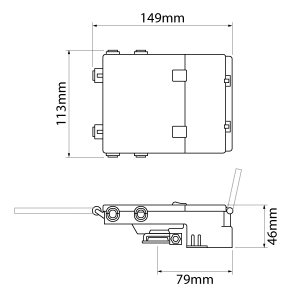 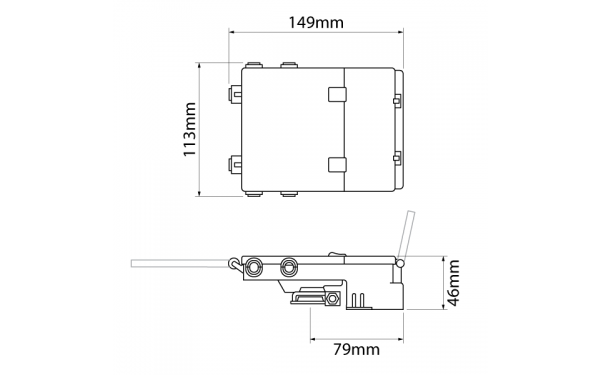 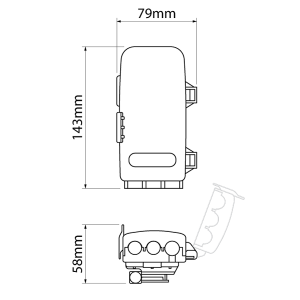 FH50 includes battery charging terminal. 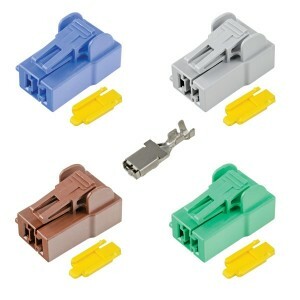 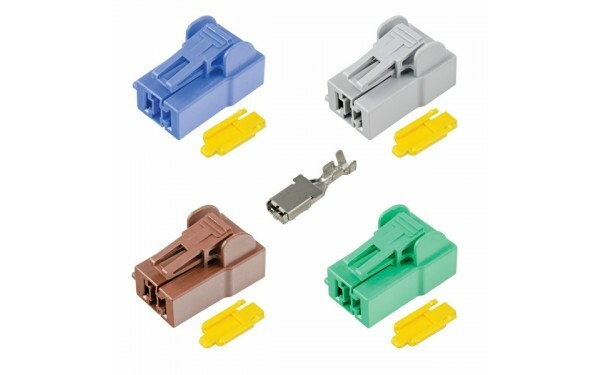 4 colour-coded sockets for polarised power connectors to Maxi Blade fuses. 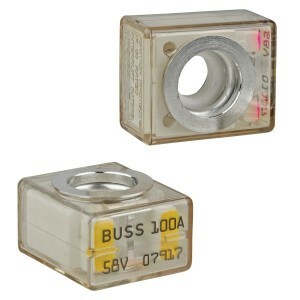 FH50 only. 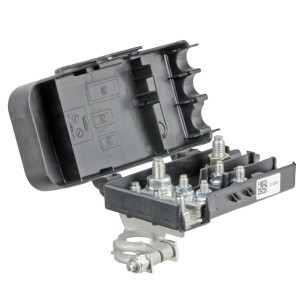 Common feed powers all fuse positions.